BALTIMORE, Oct. 17, 2012 -- The University of Maryland, Baltimore County (UMBC) and the Northrop Grumman Foundation today announced they are partnering to launch the UMBC Cyber Scholars program, which is to be housed in the university's new Cybersecurity Center, and run in partnership with the UMBC Center for Women in Technology. 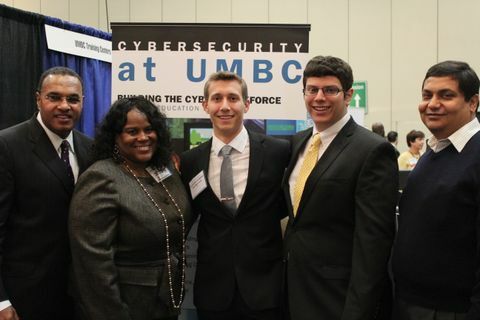 This new initiative is an extension of an already-strong partnership in cyber-related activities that has developed between UMBC, the foundation and Northrop Grumman, and includes the Cync program, a start-up business incubator dedicated to cultivating companies that develop innovative solutions to counter the global cyber threat. 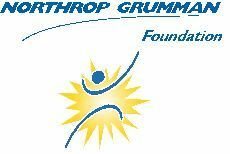 The Northrop Grumman Foundation will provide a $1 million grant to launch the Cyber Scholars program, which will begin Jan. 1, 2013. "Northrop Grumman is proud to support education programs that will develop tomorrow's cyber leaders," said Wes Bush, chairman, chief executive officer and president of Northrop Grumman. "Innovative partnerships like the Cyber Scholars program will further our nation's strategic objective to build a broad pipeline of qualified cyber professionals. I am very pleased the foundation is partnering with UMBC on this important initiative." 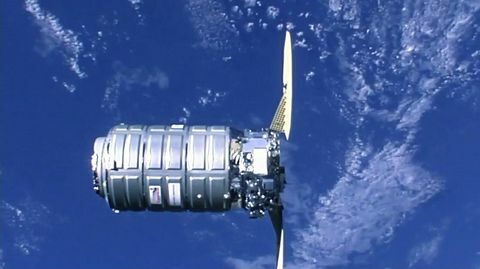 "The Northrop Grumman Foundation is dedicated to supporting education initiatives that advance the goal of expanding science, technology, engineering and mathematics curricula, from very young students through university level," said Sandra Evers-Manly, president of the Northrop Grumman Foundation. "The foundation is very excited to support UMBC on this important educational investment, especially as it will create a living/learning community of diverse UMBC students majoring in technological fields." The program is being created in response to the U.S. Department of Homeland Security's call to action regarding the shortage of trained and certified cybersecurity personnel. The program will recruit 15 to 20 new scholars annually, with special emphasis on increasing the number of women and underrepresented minorities who are being prepared for cyber security careers. The new scholars program will, in many ways, be modeled on the scholars program run by UMBC's Center for Women and Information Technology (CWIT). "This partnership will accelerate our efforts to meet critical workforce needs in cybersecurity," says Freeman Hrabowski, president of UMBC. "The Cyber Scholars program will help us attract and prepare students from diverse backgrounds for careers in a field that is vital to our nation's security." "Cybersecurity presents a tremendous challenge but also a tremendous opportunity for Maryland, which is home to many federal agencies, technology firms and leading universities. In Maryland, cybersecurity means more jobs and fewer taxes but we must prepare a pipeline of qualified workers if we want to seize the opportunity," said Rep. C.A. 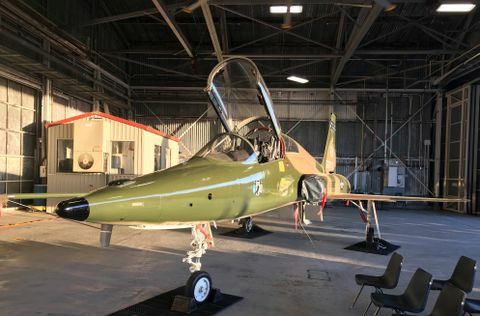 Dutch Ruppersberger (D-2nd). "This partnership between UMBC and Northrop Grumman will help arm today's students with the skills they will need to secure tomorrow's jobs." Anupam Joshi, director of UMBC's new Cybersecurity Center and the Cyber Scholars program agreed. "Cybersecurity is of critical national importance, since computer systems are part of the nation's critical infrastructure," he said. "But students often don't understand the field and women are particularly likely to see it as a bad fit for them. The scholars program gives us a chance to change that perception and show how rewarding and socially important this work can be." The Cyber Scholars will receive financial awards with special opportunities for advanced research, directed internships and other forms of academic and social support. The scholars will take a combination of management-oriented and technically focused courses. All students will be required to take an introductory seminar in their freshman year and at least one cybersecurity course as juniors. Students will be assigned to faculty advisors with a research interest in cybersecurity, and upperclassmen will have the opportunity to customize their course schedules to best meet the needs of their career interests. "We know from our experience in CWIT that early exposure to cybersecurity challenges and mentoring by faculty helps students develop an deep interest in the field, increases their motivation to persist and improves retention," said Penny Rheingans, director of CWIT. "Connections to a supportive peer group and strong mentors are particularly important for students from underrepresented groups who may otherwise lack a sense of belonging in the discipline." Northrop Grumman has served on the Homeland Security Advisory Council Task Force on Cyber Skills that recently provided recommendations to Department of Homeland Security Secretary Janet Napolitano aimed at improving the department's ability to build a world-class cybersecurity team and a strong pipeline for the future. Programs such as Cyber Scholars are examples of the type of innovative partnerships between industry and universities that can expand the pipeline of highly qualified candidates for technical mission-critical jobs.